As kids, we have all had mighty aspirations — learn to ride a bike, climb to a mountain top, bungee jumping, scuba diving et cetera, et cetera. 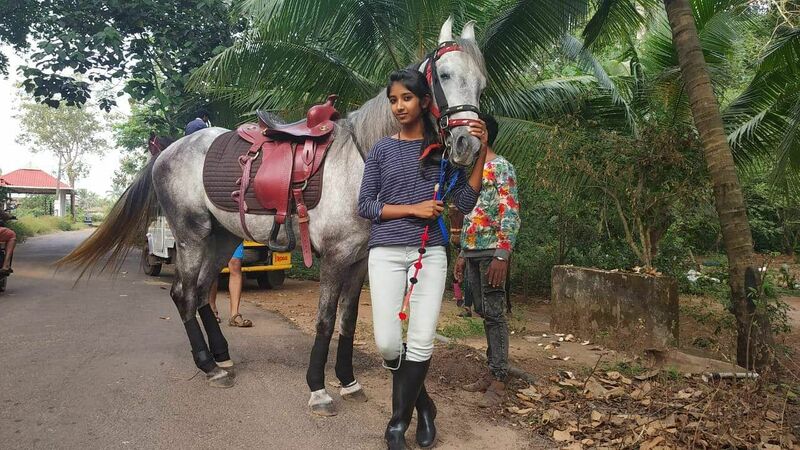 But for this 15-year-old Kerala girl, it has always been riding a horse, so much so that the feisty teenager went to her school in Thrissur astride her pet horse Ranakrishna on the last day of her CBSE Board exam — that was held on March 29. 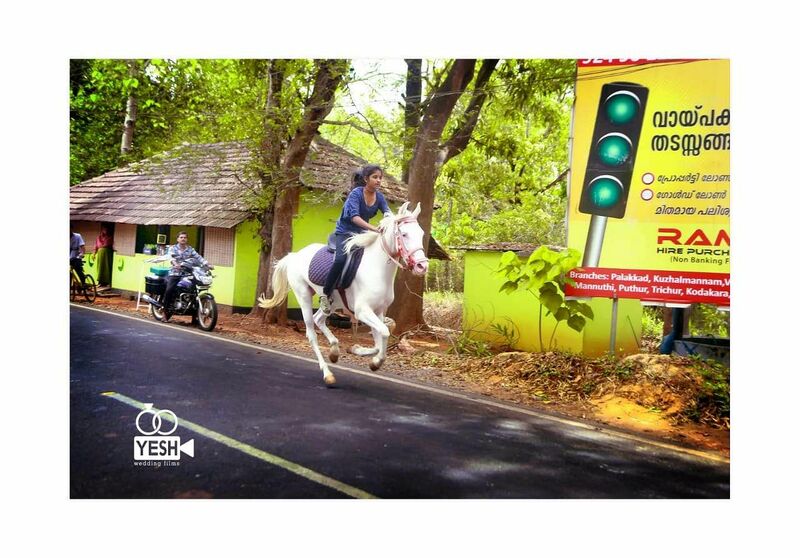 A video of CA Krishna, who is from Mala, a town in Thrissur district, riding her horse on the road to her school has gone viral after someone posted it on social media on Sunday. She is a student at the Holy Grace Academy in Thrissur. Krishna told Edex that she rode her pet horse to school on the last day of her examination as she had been nurturing the thought of it for quite some time now. Although her friends and family thought it was not a great idea, there was no way Krishna could be discouraged. "My friends said I was insane and had lost my ability to think properly as I planned to ride the horse on the day of my last exam. But I felt it was all right. I started riding a horse when I was in VII standard and started training when I was just 12 years old. I go to school quite often riding the horse. For the last few years, it's been like a ritual for me, I have ridden the horse to school on the last day of all my exams," she says. Krishna, whose father is a priest, owns two horses and she was trained at her home. Both the horses were gifts from her father. The first horse she had received on her eleventh birthday, and the second one when she was promoted to X standard. Krishna has always been an animal lover and was keen to have horses at home, so her parents fulfilled her wish. "I love horses and elephants, I have always loved animals. My friends used to tell me a girl can't ride a horse, it is a boy's thing, and then I thought I will challenge myself and learn to ride. I started learning and riding a horse and it turned out to be quite exciting. I have two trainers, who have taught me since I was 12," she explains. The video that went viral was first captured by one of her trainers while she was on her way to her school. "My trainer took the video. They were riding the bike while I was on the horse. We like capturing photos and videos that will serve as a memory later in life," she says, laughing. 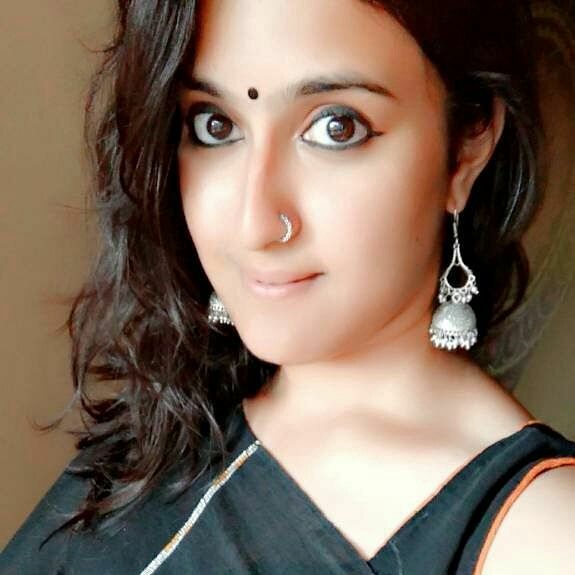 Expressing how she feels about becoming an internet sensation overnight, Krishna says, "I didn't know about that the video has gone viral until one of my friends sent me a WhatsApp clipping. I never thought it would become such a huge deal until people started coming to our house, asked for photos with me. We are all delighted and I am speechless, I can't believe this is actually happening." Krishna's video garnered even more attention after Anand Mahindra, chairman of the Mahindra Group, tweeted the video along with the caption asking if anyone knows the girl and that he would like to save her picture as his phone screensaver and hailed her as his 'hero'. "People from the Mahindra Group came to our house to take photos of me. At first, I didn't believe Anand sir was serious when he said he wanted my photo as his screensaver. I am overwhelmed," says Krishna. Overnight superstar, hero, and tweet fame apart, the 15-year-old wants to pursue this professionally and wants to participate in horse races in the future. "My parents have been extremely supportive throughout. I would love to become a professional horse rider, but first I want to do better. I have not yet perfected the art of riding. 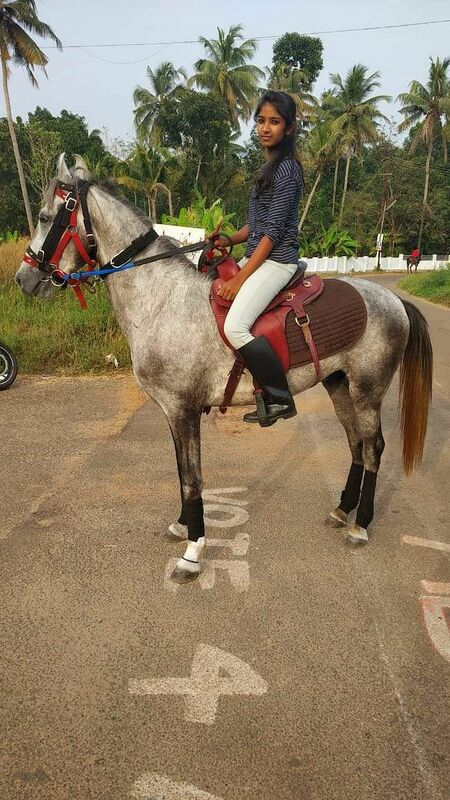 I want to learn more about horses, I would like to take up courses related to horses," concludes the young rider.